When you’ve been injured as a result of someone else’s negligence, you could suffer physically, financially and emotionally. Although the physical and emotional damage can’t be repaired, there are legal options for victims to receive financial compensation through personal injury lawsuits. Regardless of the circumstances surrounding your accident, it’s important to seek out prompt medical attention. Injuries frequently take time to surface, but medical staff are trained in identifying the early signs and symptoms of various injuries. This important step is not only crucial for your health but an important piece of evidence that proves an accident did occur and you did seek treatment for immediate injuries. The most logical next step for an injured victim is to enlist the help of an experienced and trusted personal injury attorney. A competent lawyer will interview you, collect evidence of your injuries, document any medical treatment and begin investigating the details of your claim. You and your lawyer will determine whether settling or pursuing a personal injury lawsuit is best in your situation. 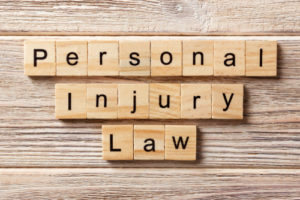 Personal injury lawsuits can quickly become complex when you are fighting against insurance companies, businesses or other parties skilled at avoiding accountability for their actions. You don’t have to fight this battle alone. Explain to our attorneys what happened through our contact form, and you will hear back from one of us shortly. Our firm has over 30 years of experience handling these types of claims, and we will aggressively fight for your full financial restoration from your losses. Can I settle an insurance claim by myself? | Personal Injury Lawyers Trenton, NJ | CourtLaw from NextLevel.com on Vimeo.